Same workout as last week, just added an isolated oblique exercise to the ab circuit. Rest periods between supersets should be 60-90 seconds for max hypertrophy. This image comes to us courtesy of one our SwoleFIT brothers in Japan, Andoryu0126. I’m sure we’ve all been minding our business, adding full pallets to our semi-truck of swole, and seen this foul play occur at the other end of the gym. Oftentimes, it is tempting to walk over and give unsolicited advice. Instead I recommend maintaining your distance, recording a video on your smartphone, and using it as conversational fodder at the bars later. I dig the pic. No gym for me yesterday. I put in five hours at the beach surfing. 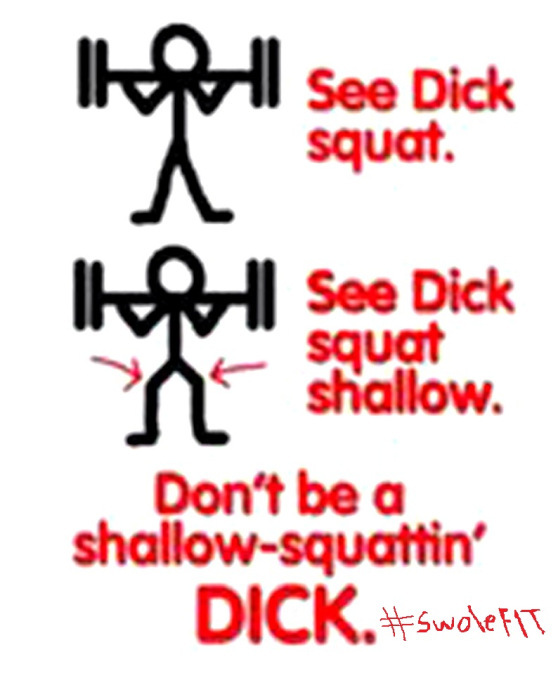 We see 1/4 squats everyday though. I’ll try and get a vid in next time.